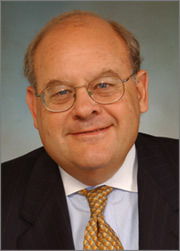 The Jacobs Center for Justice and Alternative Dispute Resolution was established in 2011 to bring together Roger Jacobs’ lifetime commitment to social justice and background in negotiations and problem solving. Shortly after the Center was established, Roger Jacobs was asked to assist Jewish prisoners in NJ state prisons to be able to more fully observe the holiday of Hanukkah. Traditionally, a Menorah with candles is lit each night for eight nights. Given that prisons are a high security environment, this presents a high risk; the lighting of the Hanukkah menorah was problematic for all sides. Prior requests of this matter were not satisfactorily resolved. After many months of negotiations with the Commissioner of Corrections, community advocates and the Chaplain, Roger Jacobs was able to work out a protocol for lighting the menorah while preserving the integrity of the prison system. This arrangement continues to date. By using his negotiation skills and background as a prosecutor, Roger Jacobs was able to satisfy all concerns and bring a ray of light to the Jewish prison population. These same skills are utilized in every dispute that is handled by Roger Jacobs – a practical based reality mindful of the needs and goals of all parties. The Jacobs Center for Justice and Alternative Dispute Resolution is regularly utilized for disputes of all kinds, often just as intractable as bridging religious needs and security concerns. Mediations of these disputes have a high rate of resolution when Mr. Jacobs is selected by the parties or the courts. Some disputes require a decision maker and not negotiation. Roger Jacobs is also an experienced Arbitrator who is fair, firm and impartial.